Getty/Johannes SimonFormer Amazon executive Greg Greeley. Amazon is losing a key executive, Greg Greeley, to Airbnb this month. Greeley served as Amazon’s global head of Prime membership, one of the company’s most important customer-focused programs. Greeley will serve as Airbnb’s head of its “president of Homes” starting later in March. 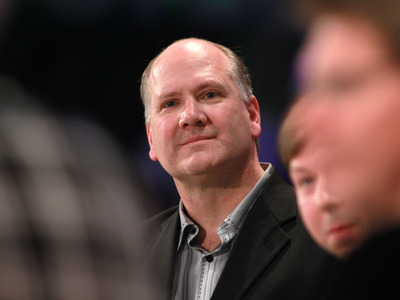 Greg Greeley has left Amazon and will join Airbnb, the company announced on Tuesday. Greely will take a position Airbnb as “president of Homes,” according to the company, which is the company’s flagship offering for offering short-term rentals. “It was Jeff Bezos’ heartfelt 1997 Letter to Shareholders that ultimately drew me to Amazon, and I have not regretted that decision for even a nanosecond,” Greeley wrote. Greeley was a key executive during his Amazon days, and helped create the membership program that has become a key cornerstone of its online offering and launch it across the globe. He previously ran both international expansion at Amazon and Amazon’s European division. “We thank Greg [Greeley] for his contributions to Amazon and wish him the best in his new role,” an Amazon spokesperson told Business Insider. Greeley’s first day at Airbnb will be March 18. He will report directly to Airbnb CEO Brian Chesky.